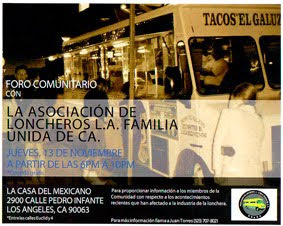 Is there a more enticing sign than a florescent "Tortillas Hechas a Mano" sign on a taco wagon? I don't think I've ever driven past such a sign without pulling over with my belly rumbling in anticipation. It’s rare that I have a bad taco when the tortillas are homemade in fact none come to mind. I figure if they go the extra mile with the tortillas then it’s likely they do the same with the meats and salsas. And I loved the tortillas at Daniel’s. They were soft with a nice grilled corn flavor. Unfortunately that’s where the love ended. 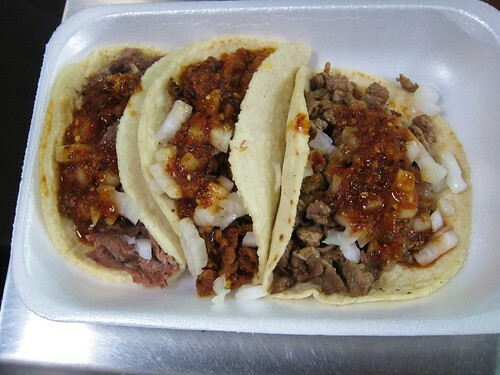 The carne asada was grayish, a little tough and bland and the lengua was really funky. 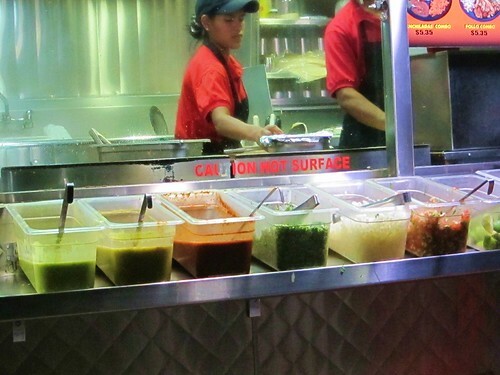 The al pastor wasn’t bad but al pastor that doesn’t come from the trompo only has so high a of ceiling. I’m starting to think that lengua just isn’t my thing. Maybe I don’t trust my palette yet to tell the difference between good lengua and bad lengua. I could tell this lengua wasn’t cooked al vapor(steamed) because of how greasy it was and the only other times I’ve enjoyed lengua was when it was cooked al vapor. I could have been more diverse with my salsa selection. Sometimes I’m stuck in my old ways and before I realize it I’m ladling the reddest salsa they have on my tacos. This salsa roja was made with guajillo chile and had a strong smoky flavor that masked some of the weakness of the meat. The spice level didn't register very high but a there was a strong chile taste to the salsa. 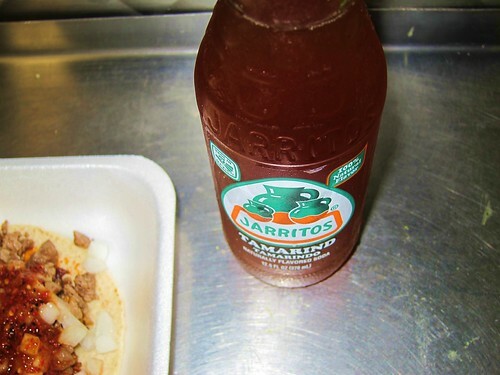 I paired my tacos with a Tamarindo Jarritos . This is another great flavor from Jarritos. If you like agua frescas with Tamarindo you will like this soda. There’s a little pop to it and then just all the great flavor of tamarind. 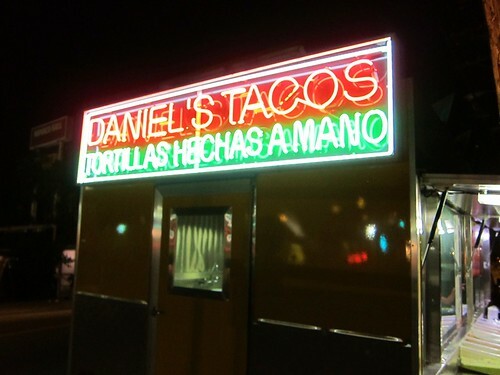 After Daniel’s I contemplated hitting up another taco truck but I knew I wouldn’t be able to eat 3 more tacos and I was starting to worry about the traffic getting back to the Westside and giving myself enough time to blog. These were pretty big tacos and I felt my stomach tighten up a bit. The valley taco truck scene is sort of uncharted territory for me. I will definitely be back.